3 Ways To Ensure Your Ex Pays! 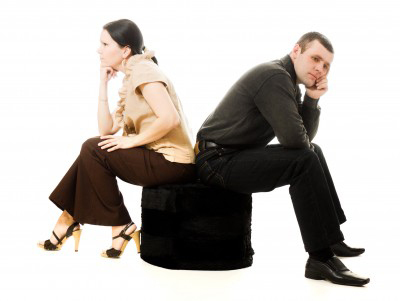 Few things cause more stress than going through a dissolution of marriage or a paternity suit. However, it is often equally stressful when you believe you have worked through it, only to find that your ex is not fulfilling their end of the bargain. Below are three things you can do that should greatly reduce the amount of time you have to spend fighting your ex in court, and as a result, that should reduce your stress levels. Divorce and Paternity lawyers can be expensive. Often, people choose to draft an agreement on their own to save the expense. After all, they agree on the timesharing with the children, and the forms provided by the Florida Bar are pretty straight forward. And that is fine. As long as you realize two things (1) that you may not know what you don’t know; and (2) once an agreement is approved by the judge, it is very difficult to change unless your ex agrees to change it, or you can prove to a judge that there is a substantial and material change in circumstances that wasn’t contemplated at the time of the agreement, and (if you are seeking a change in the timesharing schedule) the that the best interests of the child are served with a change in timesharing. The best way to avoid conflict in the future is to make sure that the agreement covers as many scenarios as possible. Some examples might include, a specific date for an action to occur – for example – the payment of alimony or child support or the transfer of a vehicle title or real estate interest; a specific time and place for timesharing exchanges of minor children as well as language as to what happens when one party is late or doesn’t show up; and who will get to spend time with the kids for each holiday that is important to you. Often, parties leave these issues up in the air to be determined later. Do so at your own risk. It is much better to have an all inclusive agreement that can be modified by the parties when they agree than it is to have a loose agreement with lots of gray area when the parties don’t agree. Child Support should be paid through the State Disbursement Unit unless the parties agree otherwise. Alimony can also be paid through the State Disbursement Unit and both can be accomplished through an Income Deduction Order. The money will go right out of the payor’s paycheck to the State Disbursement Unit who will then send it to the receiving party. When paid in this manner, the Clerk of Court will keep a running total of exactly what has been paid and what is past due. This makes it very easy for a judge to determine when someone has not been holding up their end of the bargain. Often, one party decides to stop paying on their obligations under the agreement. They know that lawyers are expensive and the other party may let it go if it is not worth the effort to find, hire and pay for a lawyer’s services to track down a past due medical expense, or half the cost of a baseball uniform. The standard for getting awarded attorney fees in a family law case requires one party to have a need and the other to have the ability to pay. Additionally, when a judge finds one party in contempt of court, he may require that party to pay fees. But why risk putting that decision in a judge’s hands? Your agreement can state that the attorneys fees in any future action, or in any action involving contempt or enforcement shall be paid by the loser to the winner. This will make either party think twice before ignoring an obligation and it will also make the spouse who loves filing paperwork think twice about setting a motion that has no basis in fact.